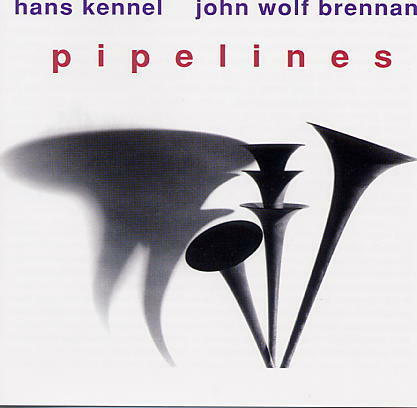 A meeting of trumpet and organ - an original project first suggested to John Wolf Brennan by Hans Kennel in 1994. The final result is the music that speaks of both the depths of time and some spontaneous inspiration; it reaches back to the modes of mediaeval music and the trumpet/organ works of the baroque, yet it retains the most contemporary features due to the improvisational technique of both performers. Music with a sense of the sacred. with paste. Those sustained bass notes may allude to stronger foundations. a quietly meditative piece and this mood returns with tracks 5, 10 and 15. Locution", and keeping with the jazz orientation, they're both "flat five"
divine invocation of the beginning. rhythms, but it is also music without time.